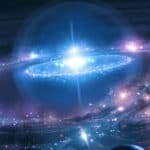 You are here: Home / All Blogs / Cleansing Crystals and Charging Crystals ~ There is a BIG Difference! I have seen the question come up time and time again in forums, during workshops and from countless clients over the years….. There is a huge difference between the two and there is only ONE proven method that will actually cleanse AND charge a crystal. There are however plenty of other, different methods for cleansing and charging. What complicates things is some methods will not work for crystals that vibrate at a very high frequency, some methods won’t work for crystals that are porous, containing metals or water and other methods won’t work for crystals that are too soft! See the lists below for other proven and unproven methods as there are many. In layman’s terms, a crystal is like a battery. It vibrates at a certain frequency and emits a lovely energy. When we use that crystal, it will often discharge it’s positive energy into our body. This is why people may feel a tingle or strange feeling in their hand/arm/body when they first pick a crystal up or wear one for long periods of time. The energy of our body is merging with that of the crystal, which can feel quite odd at first. Crystals can also absorb negative energy, which turns their positive energy to negative after awhile. Some crystals can deflect or push away negativity, but that still requires using their energy in order to facilitate a protective shield. However we choose to use a crystal, it will eventually run out of energy and need to be recharged, just like a battery. So our crystal has been used and has run out of energy. Not only has it run out of energy, but it may also have absorbed negative energy. Therefore, we need to cleanse the crystal and then recharge it. When we talk about ‘cleansing’ a crystal, it means energetically. If you want to physically clean a crystal, just wash it under running water or use a soft, dry cloth or soft toothbrush. Unless the crystal is under 4 on the Mohs hardness scale (ie. its really soft), it’ll be fine under a tap. If in doubt, please Click Here to see the Mohs Hardness scale. When first starting to use crystals, I always recommend the PROVEN methods of cleansing and charging first. There are tons of ancient methods that came about due to our indigenous culture’s beliefs in god, the spirit world and the power of the planets in our solar system. However, when starting out, always use the proven methods first. And please learn the difference between cleansing and charging as it is very important. Don’t think because something cleanses it has the ability to charge as well…..smudging is a perfect example. Sure, smoke can bind negative energy and dispel it, but it cannot energise things ~ it is fantastic for cleansing/clearing, but will NOT charge a crystal. Sound is also excellent for clearing negative energy, the sound wave literally whacks the negative frequencies right out of the crystal. However, for it to add a frequency to a crystal, the sound wave must be of a higher frequency than that of a crystal. Sound is great if we’re wanting to cleanse and charge a piece of Lapis, Onyx or Obsidian perhaps, but it won’t work if we’re trying to charge a Brandberg, Selenite or Apophyllite. The tables below clearly show the different methods of cleansing and charging and also whether they are proven or not. There are also some myths I’d like to dispel. Lots of people give warnings about leaving crystals in direct sunlight for too long and on some levels, they’re right. Half an hour is more than enough if you’re not sure whether a crystal can be left in sunlight or not. 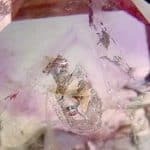 Half an hour will NOT damage any crystal and believe me, I’ve experimented with this very issue with 1000s of crystals over the past 25 years. If you live in an extremely hot country with strong sunlight, put crystals out early in the morning or late afternoon when the beams from the sun are weaker, to ensure they don’t crack or explode in the intense heat. As a general rule, many purple or pink crystals will fade in sunlight due to their chemical content breaking down in sunlight. Be wary of leaving Amethyst or Kunzite in the sun for too long. Fluorite is the only crystal on the planet to have TWO internal lattice structures (every other crystal has one). Sunlight breaks down one of those structures, causing Fluorite to shatter easily. It is fine in the sunshine for half an hour, after that, pop it into a shaded area. I have had Amethyst that has faded in sunlight and pieces that sit in sunlight every day and haven’t faded one bit. I have no idea why and can only assume its due to the concentration of chemicals in the crystal…some pieces have more than others. I also had a LOT of Fluorite smash over the years before a mineralogist taught me about lattice structures! Natural sunlight is the only proven method of both energetically cleansing and recharging a crystal, which is handy as its also the cheapest and easiest method to use. Not everyone is aware of or proficient in Reiki, which is the other method I believe cleanses and charges, but it’s unproven so we’ll stick with fact for now. I pop all of my crystals on the windowsill when I do the housework ~ not every week, sometimes every two weeks or once a month. Simply wait for a nice day, pop everything onto your windowsills, go about the housework (or whatever you do that will only last 30-60 minutes) and then remove any crystals from the windowsill that you might be concerned about. Ask Google if you aren’t sure. Most solid crystals such as Lapis, Malachite, Hematite, Iron Pyrite etc could be left in the sunlight for life and never fade. Clear Quartz is fine to be left in the sun forever too! I automatically cleanse and recharge any crystal I’ve used for a few days. Moonlight is a huge bug bear for me because it is not a proven method of charging a crystal. Now I know science cannot explain everything, but on this one, I have to side with logic. To energetically cleanse a crystal, we need to remove or break down it’s negative energy and as the moon’s energy is magnetic, it cannot do it. If we want to look at Moonlight itself, then it simply isn’t powerful enough. We get 0.2 lux illumination in a direct beam of moonlight. We get 120,000 lux illumination from a beam of sunlight. There is no comparison. However!! Before half the moon goddesses reading this send scorching thoughts my way, you MUST go with what feels right to you. Just because science cannot prove something doesn’t mean to say it isn’t so (anyone, like myself, who works with Spirit knows the truth in this!!). I have tried and tried to cleanse/charge crystals in moonlight and for me it has never worked. If it works for you however, then that is part of your belief system and must be honoured. What I will say is I always set my grids to the lunar calendar. I love the moon and have followed it’s cycles for many years. The symbolic meaning of the moon makes up a big part of my energy reports and I feel the magnetic pull of it can and does effect human beings and our planet as a whole. It’s also a myth that Selenite and Black Tourmaline don’t need to be cleansed or charged ~ OF COURSE they need to be cleansed and charged. They are no different to any other crystal. Selenite may have a lovely, high vibration, but its not THAT high….it can absorb negative energy like any other crystal. Someone wrote a blog on this a few years’s ago and I could bop him as it’s just his belief and an ego trip that simply isn’t factual. The rumour mill got hold of it, chinese whispers ensued and hey presto, all of a sudden this big misnomer has suddenly becoming fact!! Nooooooooo!! It’s particularly damaging given many of us use large pieces of Selenite to charge our smaller crystals. 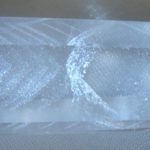 If you have any doubts, think about this logically…..once the smaller crystals have absorbed the energy of the bigger Selenite, where is that Selenite going to get more energy from??? And what if a smaller crystal discharges it’s negative energy into the Selenite before sucking up some charge? The same goes for Black Tourmaline. It is THE stone recommended to deflect negative energy and protect us, so to not cleanse or charge it makes no sense. Don’t leave Selenite in water either……another lesson learned the hard way, it simply dissolves if you leave it in a bowl for a few hours. Ooops 😉 Washing larger (such as towers, slabs or lights) or thick pieces of Selenite under running water will do no harm if they are dried naturally in the sun afterwards or with a cloth. It appears it’s leaving Selenite in water rather than washing it under water that causes damage. I’ve detailed below in simple tables the most commonly used methods for cleansing and charging. Some are proven, some are not and there are probably a few more unproven methods that haven’t been mentioned too. Start with the proven, gauge how crystals feel before and after cleansing and again, before and after charging….then go for it with the unproven methods. Walking a sparkly, crystal path is all about playfulness, about adventure and experimentation. What works for one may not work for another, so forge your own path and do so with joy! If you have time to answer it, it would be awesome! I just got my first crystal: Celestial Aura Quartz | AKA: Tanzine Aura Quartz. Celestial quartz has blue and purple… as a coating. the sun for :30 min, or will longer be ok since it’s base is comprised of clear quartz? Thanks for any time and consideration in the matter! That’s a great question!! Aura Quartz should not fade in the sun as the process to bond the precious metals to the quartz is permanent and doesn’t involve dye. The only time I’ve known them to fade is when they haven’t been high quality aura quartz (usually from India), where the company will have gone cheap instead of buying the expensive vacuum metalising equipment. A low quality aura qartz may fade and the coating may also peel off. Awesome!!! Thanks soOO much! I would love that! I’ll take a picture of it in sunlight. Do you have any particulars you would need for it to be best displayed in the photo? -Thanks again! Please put all this amazing info into a book Kirstie. Even in a formate that we can buy & download. Something I can have on hand as a reference tool. Whilst there are many books out there, your wisdom has a clarity, elegance and energy about it that is both uplifting & empowering. I have had crystals damaged in sunlight in less than 30minutes-that wasn’t because of the sunlight though, it was because of the heat. Just mentioning it so people can keep it in mind when placing their crystals in sunlight. It was over 90 degrees that day my crystals broke, but I was a novice and didn’t know better. Do the 12 Synergy Crystals need charging. How about Cintamani? Details of the Synergy Crystals above. Thank you for your comment 🙂 I have rephrased the blog slightly to read energy instead of ions. I do not claim to be a scientist and simply write blogs in a way I feel people can understand ~ am trying to make a very complicated subject easy for the layman to process. If you want exact science, by all means there are lots of amazing, technical sites out there that can provide that. There is no proof of what you say regarding the moon, but if that is what resonates as truth for you, then that is all that matters. Follow your own intuition and heart as it will guide you better than anyone else ever can 🙂 Have a wonderful day, bright blessings, Krissy. My understanding was that I needs to be charged? Yes? I will change the wording on the blog as ~ do not cleanse or charge it at your peril ~ means, if you do not cleanse or charge it, then it will not work well. Hope that clarifies and yes, ALL crystals need to be cleansed and charged. If there were any crystal that had an endless supply of energy after we used it, we would be using it as some form of fossil fuel by now 🙂 Many thanks and have a lovely day. Scientifically proven Luciana. Please refer to Google, there are tons of articles out there 🙂 Thanks and have a lovely day. Your thoughts on contacting the higher realms with Moldavite-other high vibration crystals thanks.. Meditation is the best way ~ there are many different forms of meditation. Experiment until you find the one that works with you and then practice it daily whilst holding a crystal in your palm or on a chakra point if lying down. We all have the ability to contact the higher realms ~ some find it easy, some don’t, but it’s regular practice, no matter who we are, that creates a strong connection and intuitive guidance we can learn to trust. If you haven’t had a lot of experience with crystals, start with something like Clear Quartz or Selenite and see how that feels. If you need a bit more ‘oomph’, Moldavite, Amphibole, Lodolite and Phenacite are the ones that work quickly for me. i have a theory that a cleansed Crystal could recharge with the Human Body with body heat , am i wrong ! Can understand the logic behind the theory, but practice has shown that crystals don’t recharge with our body heat. Our auric field is made up of the heat, water and energy given off by our bodies, so crystals work brilliantly with our aura ~ hence people often feeling pulses, tingling, heat, cold or vibrations from them. This is the reaction between the crystal and our auric field being felt on some level. It would be very appreciated to know if these are okay to put in sunlight or not Thank you so much! Jade, Jasper, Pearls, Mahogany Obsidian, Black Obsidian and Tiger’s Eye are all absolutely fine to be left in the sun 24/7. They will not fade. Sapphire, Ruby, Smoky Quartz & Turquoise may or may not fade depending on the quality and grade of the stone. 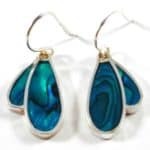 For example, high quality American or Mexican Turquoise which is bright blue, doesn’t fade, but the Asian Turquoise, which is more on the green end of the colour spectrum, can fade. It is simply the chemicals within the crystals that are providing the colour that can break down in sunlight. Each to their own, if you feel it works for you, by all means do so. I personally don’t think it works, but we should always follow our own gut instincts regardless of what anyone says on the internet 🙂 Hope that helps, have a lovely day. I’ve read a lot on the internet about how Selenite can indeed cleanse and charge crystals but every now and again you need to do the same for the Selenite .I have two large circular plates of Selenite and I keep all my every day most used crystals in the Selenite always unless I’m using them .The Selenite does help in that area I just sometimes forget that my Selenite needs some love and care as well! You know how people say a cats purring can help strengthen bones? Could this be something that charges stones? Which is best method to cleanse and charge my howlite bracelet? Thanks in advance! Thank goodness for common sense!!! I have read all sorts of rubbish about charging crystals, including wrapping them in silk, and even under Christmas lights!!!!! How is that meant to work!?! And some of this has come from a very popular source. No wonder there is such confusion. Yes, there is all sorts of rubbish out there that causes confusion, which is what prompted me to write this blog and make the information open and accessible to all. I’ve read on many sites that crystals can be cleansed if you put in in brown rice for numerous hours, is that true because I’ve been doing it mostly with my jewelry and I feel a difference is that a hoax or something that is valid? The rest of my stones and crystals I cleanse and charge in the sunlight, they seem to respond well to the sun and look so shiny and happy and if course if I’m using my free favorite crystals that I constantly hold onto I every now and again run the under the water just for a quick cleanse… Any advice on this? 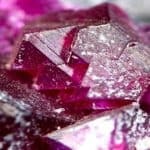 There is a specific blog on Crystals & Water, using the search engine should bring that right up for you to answer any questions you may have regarding water/washing/cleansing etc. Thank you I realized that the brown rice only cleanses the stone that’s why I just used it for my jewelry pendants I don’t mind having to charge them in additions I charge and cleanse all my other stones and crystals in the sunlight… Thank you for your advice, happy blessings! I’m interested in what you say about using a (Tibetan singing?) bowl – can you guide this complete novice on how to choose/identify/select one with the best frequency? Thanks so much for the positive feedback 🙂 I would speak to a sound specialist about a bowl ~ I have used them in the past, but prefer the sound of the pure quartz bowls rather than the Tibetan metal bowls. It’s just personal preference, metals are very ‘dense’ for me to work with so I much prefer the energy of quartz. I’d suggest visiting a music shop, holistic or Free Trade fair as that would be your best bet for frequency information & you’d get to try out different bowls before purchasing (highly recommended, these are not items to purchase online). 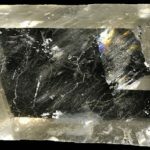 I just have a brief question, I am a novice right now with my crystals. So, I have wrapped my green jade Crystal with macrame cord (netted), as a pendant, will the cord in anyway affect charging it? Thanks for your questions. As long as there are gaps (ie as you say, netted), there will be no problem charging your Jade ~ it just needs to come into direct contact with sunlight for a little while, which most pendants and jewellery does anyway just from our wearing it 🙂 Hope that helps, have a lovely day! Hello Kristy, Thank you so much for this information. Reading it felt so right. Especially, keeping it simple. I recently purchased two Moldavite pendants and would like to know what’s the best way to cleanse and charge them. I don’t have any sound items like singing bowl or anything like that. Can you suggest if there is another simple way to do so. I’ve been putting them in the sunlight even before I read your blog. Would really appreciate any advice you can give me. Oh Mary, bless you ~ there is such a lot of rubbish out there about crystals. Why do us humans have to complicate things? As the blog says, crystals need to be put in sunlight for 30 minutes and they will be cleansed and charged. That’s it. If you want to salt them, burn candles, chant or dance or whatever works for you, that is a personal choice, but none of it is necessary whatsoever and these people telling you these things need a better education on crystals! (sorry, it makes me so angry when people say such rubbish ~ if you were a practising pagan or witch, these things might apply, but as a non pagan/witch, they do not!). So please take your crystal out of it’s bag, pop it on a windowsill and half an hour later you’re good to go. When you set it in the sun to cleanse and charge it, just say ‘I am placing you here in the sun to cleanse and charge’ and then when you pick it up to use it, ask the crystal to ‘protect me and work for my highest good’. You can speak out loud or in your own mind. Thank you for the information, in the warmer seasons I put them in the sunlight but that is difficult for me considering I have hundreds of healing stones and crystals in raw for and tumbled. Since it’s winter and very cold it and we haven’t been getting much sunlight it’s always cloudy I’ve been using chimes and my 8″ singing bowl to clear them as I was told by someone that sounds pretty the crystal through a clearing process and then they recharge themselves plus I keep them in Selenite books all the time. Am I not doing enough? Because they seem to help heal myself and others that I’ve given my crystals and stones to….. It’s always raining and snowing right now so I can’t put them outside and I have so many so I can’t put them in windowsills. I am backing using my singing bowl which has a very high pitched sounds and then I do my chimes which are a lower sound so they are getting both at the same time. Is that benefiting my crystals at all???? As you can hopefully tell from the blog, sound is a perfectly acceptable way to keep a big collection of crystals cleansed. I tend to wash mine and set them in the sunlight during the summer, simply as it feels right to me and I like to keep my crystals clean and ready to go. Sunlight means on a cloudy day too. I don’t recommend direct rays of burning hot sun on any crystals! The sun is extremely powerful, it works just the same on a cloudy day, but I know what you mean about having tons and not being able to put them all on a windowsill! Hi, I am new to this. I have various crystals, such as amethyst, rose quartz, agate, and some others. I live in the UK too, in Cornwall. All we have had is rain, wind and grey clouds. Is there no other proven ways to charge them? I don’t have a singing bowl. Any advice please would be great ?. Thankyou so much for replying. Funny enough, the sun was shining brightly yesterday ? What a brilliant article. I do however have a question that I hope you can help me with. I live in the uk. Most of the time our weather is dull/cloudy with not much guaranteed sunlight. Please can you advise if just natural daylight is enough to charge crystals. I’m having a real hard time finding just one simple method to cleanse and charge my crystals in my chaotic busy life!!!!! Thanks for your help and much love ? Sorry I do apologise. I’ve just backtracked to a previous question and reply and realised you’ve been asked this before. Just a bit desperate at the moment and really want this to work for me. I guess my next question is to ask whether half an hour of daylight as opposed to sunlight is still enough for recharging?? Thanks again for your help ??? It’s the UV rays that are important and they get through clouds no problem, so say an hour on a cloudy day during winter is fine. Try them on a cloudy day and try them on a really sunny day and see if you feel any difference. Most of mine that don’t fade in the sun are kept on windowsills so they’re always ready to go. Others I’ll leave for a few hours on a cloudy day or 30 mins-ish on a really bright, sunny day. I don’t think theres any exactness to it, just go with what feels right to you and that will work perfectly 🙂 I’ll try to remember to update the blog to cover this question as it’s a good one! 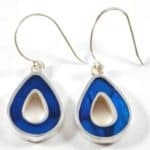 I have my disability hearing in Thursday the 15th can you suggest what crystals I should wear or carry with me to help me through the hearing and possibly getting approved? I’ve been waiting five years for this day and I want to go prepared just not sure what crystals are the best for my situation. I will definitely have amethyst I always carry our wear amethyst day and night. Any suggestions?? So sorry I didn’t see this earlier. My PC has crashed twice in the last six weeks, being taken away for a week at a time to be fixed so am only now catching up! Thanks for getting back to me even though I was finished with my hearing before I heard back from you so I decided why not take one of all the crystals I have, carry them in pockets and my purse etc. Kyanite and lapis were in the mix and the great news is that I won my case!!! I’ve been unemployable for the past five years due to physical illnesses and ironically the judge took one look at the gigantic paper file that they had on me and he just approved me on the spot! He said that’s the first time he’s ever done that but could see that I am definitely disabled . This changes so much in my life! It was worth taking asa the crystals that I could! Hey there, thanks for the informative article. I have a couple of questions. I wasn’t at home for about one month, when I get back after the first night I felt energy drained, like I didn’t slept well and that’s for one week the same, I cleansed the crystals with sound (I have tibetian bowl) before two days but again the same. I don’t have energy, I can’t fall asleep, I don’t have willpower and what else not. Could be the not charging the crystals? I have clear quartz, citrine, lapis lazuli, smoky quartz, amethyst, bloodstone, aventurine, tiger’s eye and black turmaline. Really sorry to hear that. I wouldn’t think it would be the crystals to be fair as they are all fairly laid back and not ones that would drain you like that. Sounds more like an energetic change within yourself or even in the area in which you live? However, if you want to be sure it isn’t your crystals, I suggest physically washing them all with water so they are physically clean and refreshed, then leave them in direct sunlight (even on a cloudy day) for half an hour. Then pick them up individually one at a time and ask them where they want to be in your home and put them in that place. Whatever pops into your head first is the right place. Set them with the intention to ‘work for my highest good’ and they will all be definitely cleansed, charged and working in your best interests. Sometimes they do need an extra helping of love and attention so make it an hour or two where you’re free to do the whole process and can give them lots of love whilst you’re at it, ensuring your energy is high and you’re thinking positively etc. Quick question, i want to cleanse and charge it by burying my blood quartz. Do i have to leave it buried for an extra day or does the cleansing and charging take place all in one day? Am not sure why, but intuitively I’ve always buried stones for 3 days at a time and simply dig them up when it feels right. So go with whatever feels right to you, but 24 hours should be enough. Opals are soft, porous minerals. If left out overnight unprotected, it would soak up any water that was in the atmosphere (there is water in every outside atmosphere, regardless of where you are on the globe), which would change the colour spectrum in the Opal. I would not advise doing that with an Opal. They are soft minerals that should not be placed around water or in wet atmospheres as they’ll soak up that water, which weakens them and may cause them to crumble, fracture or break as well as change colour. Hi. I just found your blog and now I’m in love. I especially enjoyed this blog post. I have learned many new things and have had questions answered without asking. Thank you for a wonderful blog. I look forward to following you. ? Hi Kristy, thank you so much for your sincere and informative post! Your reasoning that all crystals need to be cleansed makes sense to me. I am working with crystals for the first time, and just received kyanite, black tourmaline, tiger iron and a few other crystals in the mail. My question is, how WOULD one go about cleansing kyanite? Thanks! Hi Krissy, thank you so much for your answer! I’ll try those out. Have a great week! Ugh, i would have enjoyed this article, but you are really telling us that science has proved that placing crystals under sunlight can rid them of negative energy??? How do you even measure that kind of stuff. And you arent willing to give us any proof on it and tell us to search for it, shows that you have no proof because i didnt find any proof on internet and because you dont have any it really shows you dont know anything. Firstly, if you’re going to leave negative feedback, please have the guts to leave your name. Secondly, I am not a scientist and therefore, do not have to write blogs providing full scientific backup and reams of paper to prove what I am saying. It is my creative work, freely given and it won’t resonate with everyone. Which is absolutely fine. Who are you to demand that I back things up with scientific explanations? If you need that kind of logical support, that’s absolutely OK and there are many websites out there that provide exactly what you’re looking for. There is plenty of proof, I simply choose to write intuitive based blogs that are easy for people to understand and digest rather than scientific based blogs that appeal to the logical mind only. With regard to the sun and moon, again, I don’t need to prove something that is common knowledge. Look into it yourself if you’re curious or doubtful, do the work to satisfy your own mind instead of expecting others to do it for you. As a start ~ look at what the sun does to our planet and how strong it’s energy is. Then do the same for the Moon. From a scientific perspective, it’s logical and slam dunk. The sun has an effect on quartz at an atomic level. The moon does not. It’s ENERGY workers or those with a strong affinity with the Moon who say the Moon charges crystals, no scientist will EVER say that as it just isn’t possible from a scientific point of view. However, many swear by the energy of the moon so my blog tries to honour that. EVEN though I disagree with it on a scientific level, I respect it from an energy/spiritual level. Thank you very much for your feedback, have fun investigating the things I’ve recommended above and in future, if you cannot say anything nice to people, please try not saying anything at all and certainly don’t cower behind anonymity! If you’d like some science to back something up, try a private message or to ask nicely. It will get you a lot further in life than leaving nasty comments under an ‘anonymous’ tag on other people’s hard work and creativity. Particularly when you’re dissing something because of your own lack of knowledge and willingness to research something properly yourself. Have a great day, bright blessings, Krissy. Thank you for writing this! It’s very direct and easy to follow. I would really appreciate your help with this one question that I can’t seem to find an answer to. I am very new with crystals and just got myself an infinite stone. I heard it’s quite rare and am really excited to start using it to sleep better. Unfortenetlly there aren’t a lot of information out there about such stone. Am not sure which cleansing and energising method is best for it or if it devolves in water, salt, sun etc. I’ve decided to burry it for the night because I felt like this is the right thing to do to cleanse it but I am not sure what to do to re-energise it. Admiring the commitment you put into your blog and detailed information you offer. It’s nice to come across a blog every once in a while that isn’t the same unwanted rehashed information. Wonderful read! Hi, I have a black tourmaline bracelet. How do I cleanse and charge it? Got to say I use both the sunshine and moonlight method for charging and from my personal experience the moon is much much more powerful at charging crystals. I don’t know why- I can’t explain it …. It just is. This belief wasnt formed by any person “telling me”. Im very very semsitive to crystal energy. I had a very powerful heart based “born again” spiritual awakening experience 3 years back and since then I discovered by accident my sensitivity to crystals. I went to buy a necklace for a friend who was ill and liked crystals. When I walked into the crystal shop they had a 2 foot tall clear quartz crystal in the room and I swear to god I nearly fell over when I walked in. It was like being struck by lightning. After buying my first crystals and working with them I had no understanding or idea of how they worked. No clue about cleansing or charging. I used them and got great effects for a number of days ….. Then they started to get a really funky energy. Made me feel almost drunk. I was working with amethyst and then had a clear vivid dream a Little girl came to me and gave me a piece of paper with crystals drawn on it with wires connecting them to batteries. I had no idea what this meant and asked her. She just smiled and offered the piece of paper again. I woke up thinking am I supposed to run electricity through my crystals. The.coincidemtallg the same morning I got a video pop onto my feed explaining how crystals need to be charged using either moonlight preferably full moon or sunlight. I looked at the lunar calendar ….. And wouldn’t you know that night was the full moon . And not just any full moon. A blood moon eclipse. After charging the crystals that night they nearly blew my energy body up. I had powerful powerful detox effects to the point after using my amethyst and green fluorite which felt amazing I became violently ill. Felt like every toxic substance in my body was purged all at once. Do not under estimate the power of the moon. Crystal energy is more then just the light you see. I just inherited a natural onyx tower; approximately 10 inches tall. I can feel the not so good energy, and would like to cleanse it. The sun isn’t very bright today; wondering if I can put it in the windowsill and leave for a few days? Store your crystals in whatever way feels good to you. Some of mine are around the house, others are in bowls, the rarer or more delicate pieces are nestled in acid free tissue paper in little boxes. They can even be placed in little ziploc bags with the added benefit you can write the name on the bag to remind yourself down the line which crystal it is. Listen Luciana, Kristy is trying to help other people, so give it a rest! Hello, I just got back from Salem Massachusetts. While I was in the local shops I came across many tourmaline stones for sale. They had been touched by probably hundreds of people and did not have the same feeling as the ones I ordered on line. Is it possible that they had absorbed too much negativity and were just ineffective because they needed to be cleansed and recharged?